Pool at Sunshine Suites Resort, Grand Cayman. 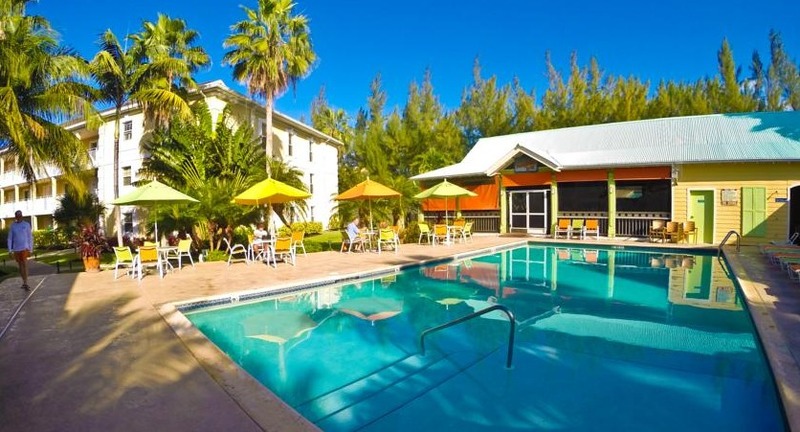 Just a short walk from the island’s beautiful Seven Mile Beach, Sunshine Suites Resort offers elegant accommodations with an outdoor pool and free WiFi. Free continental Grab & Go breakfast is included. Sunshine Suites Resort’s 130 suites and studios offer garden or pool views. All include a fully-equipped kitchen and a spacious living-dining area. Washing machines are also available for guests. The resort’s Sunshine Grill restaurant serves both local and international cuisine, including fish tacos, hamburgers or chicken. The restaurant is open for breakfast, lunch and dinner, and also offers an extensive cocktail list. The Blue Tip Golf Course and North Sound Golf Course are both within a few feet of Sunshine Suites. The resort also offers a car rental service. Visit Sunshine Suites Resort’s website for more information.